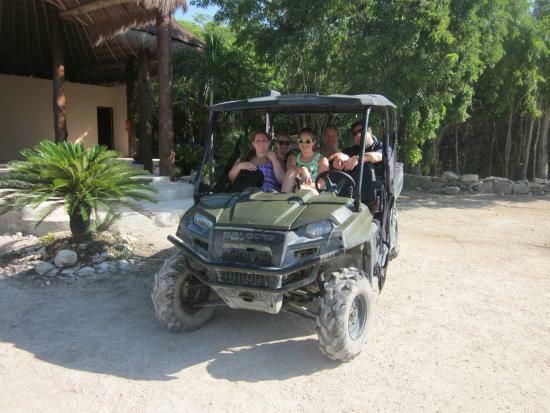 Edventure Tours provides exceptional cenote, jungle, lagoon and turtle tours in the Riviera Maya - having been in the area and doing tours for 30 years! 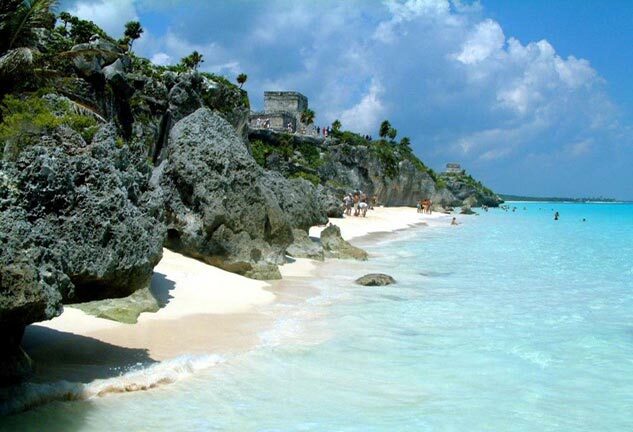 They are a family owned and operated business that offers the best of the area, from the pristine turquoise waters of the Caribbean to the ancient Mayan ruins, with much more in between! They provide tours for families of all ages - tots to seniors - and offer private tours for couples or groups of all sizes. Customizable tour options are available. 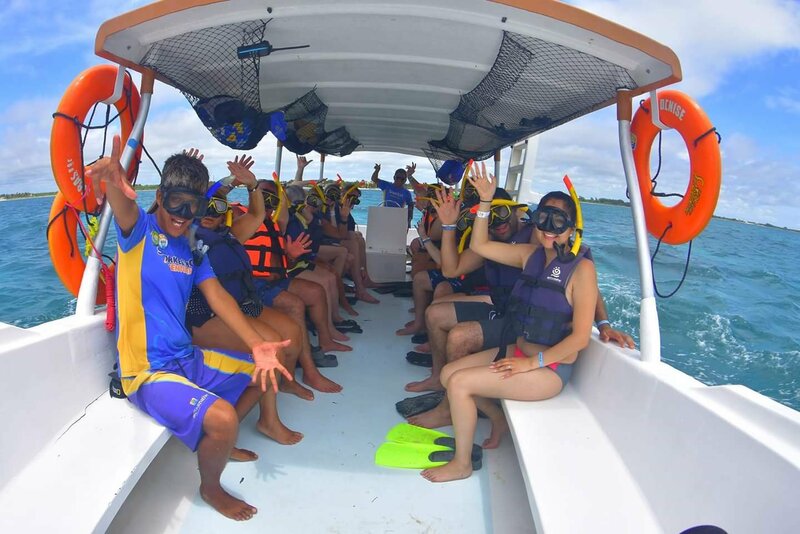 The Edventure tours are all-inclusive, which means your tour fee covers round trip transportation, group guide, equipment rental, lunch and beverages. 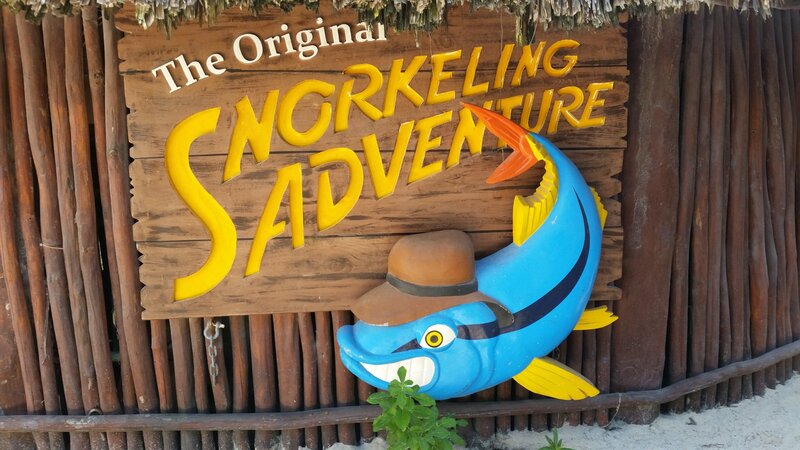 Edventure Snorkel: Snorkel underground river, cave cenote, and natural lagoon aquarium. Includes lunch and drinks. 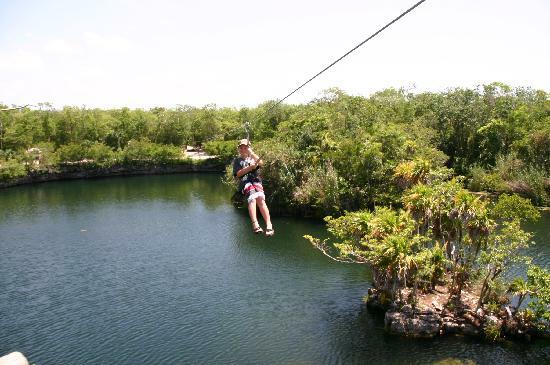 Edventure Zipline: ATV jungle ride (6 passenger Polaris), zipline through the jungle canopy 9 ziplines & 5 connecting bridges, snorkel underground river and cave cenote, rappel and rock climb (optional). Includes lunch and drinks. 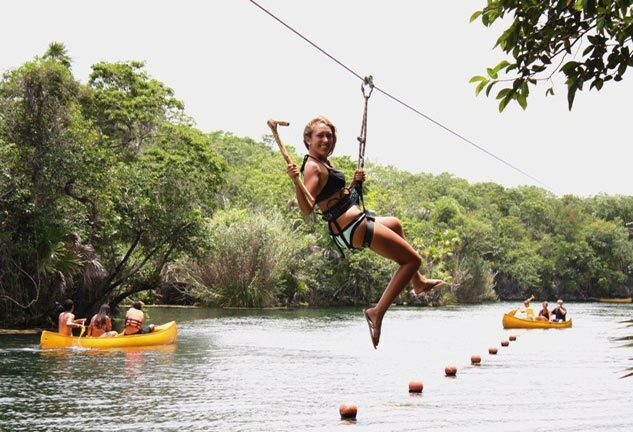 Edventure Xtreme Tour: ATV jungle ride (6 passenger Polaris), zipline through the jungle canopy 9 ziplines & 5 connecting bridges, snorkel underground river and cave cenote, rappel and rock climb (optional), snorkel lagoon aquarium, snorkel sea turtles/coral reef. Includes lunch and drinks. 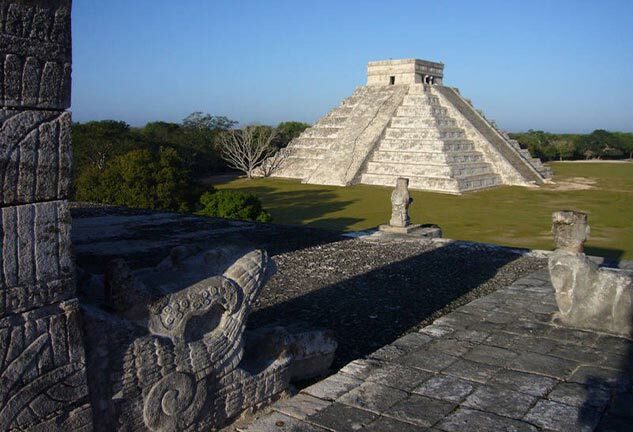 Additional pick-up and private tour charges may apply. Paypal preferred for deposits. Cash, Visa, and Mastercard balance payments accepted. 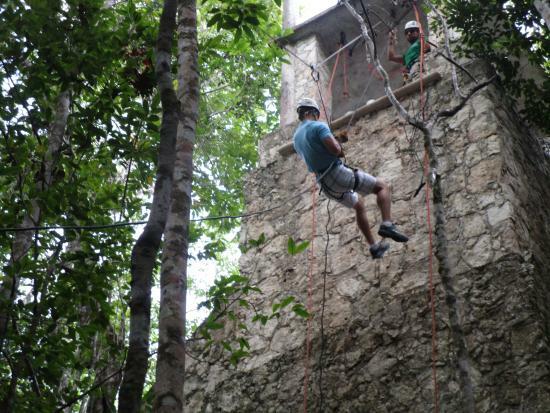 Paradise Tours - Historical Sites, Snorkeling, Ziplines, and more! 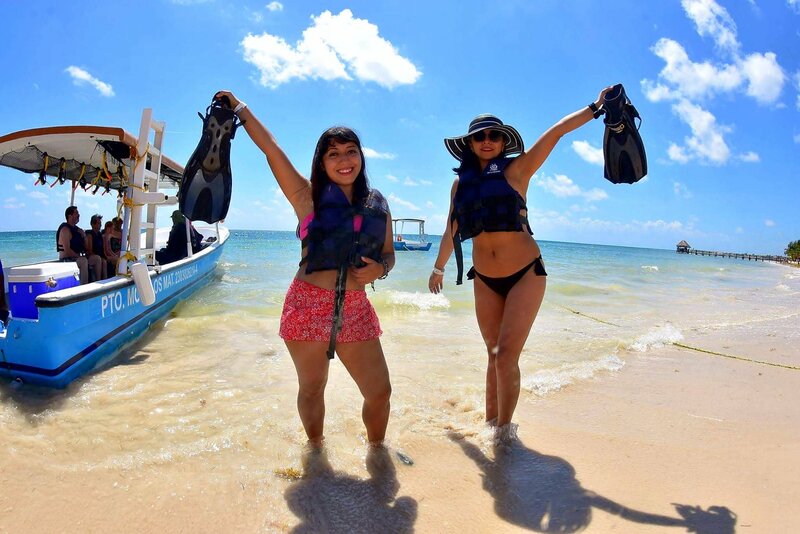 Paradise Transfers and Tours specializes in creating unforgettable memories and unique experiences for our customers. 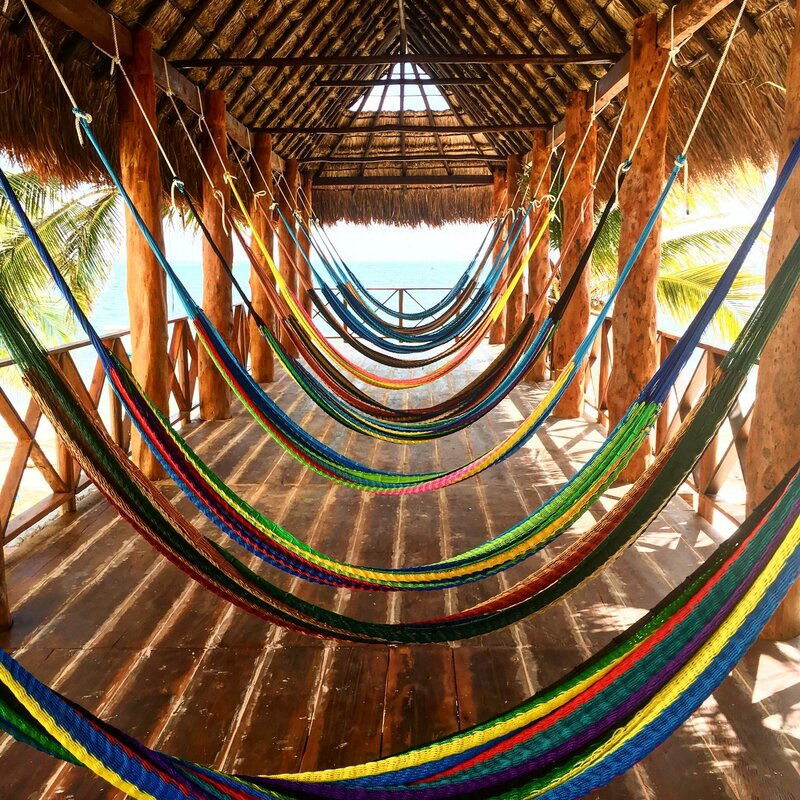 Whether you are traveling with your family, life partner or friends, we understand the importance and meaning of a "Vacation". 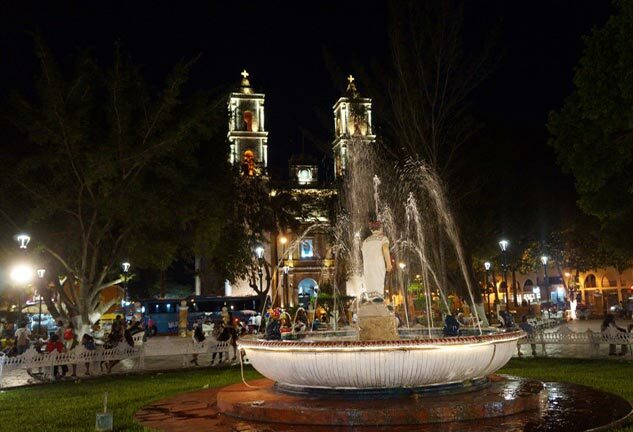 With a large variety of unique and exclusive tours, we at Paradise Transfers and Tours are here to make this moment the "Best road trip of your Life". 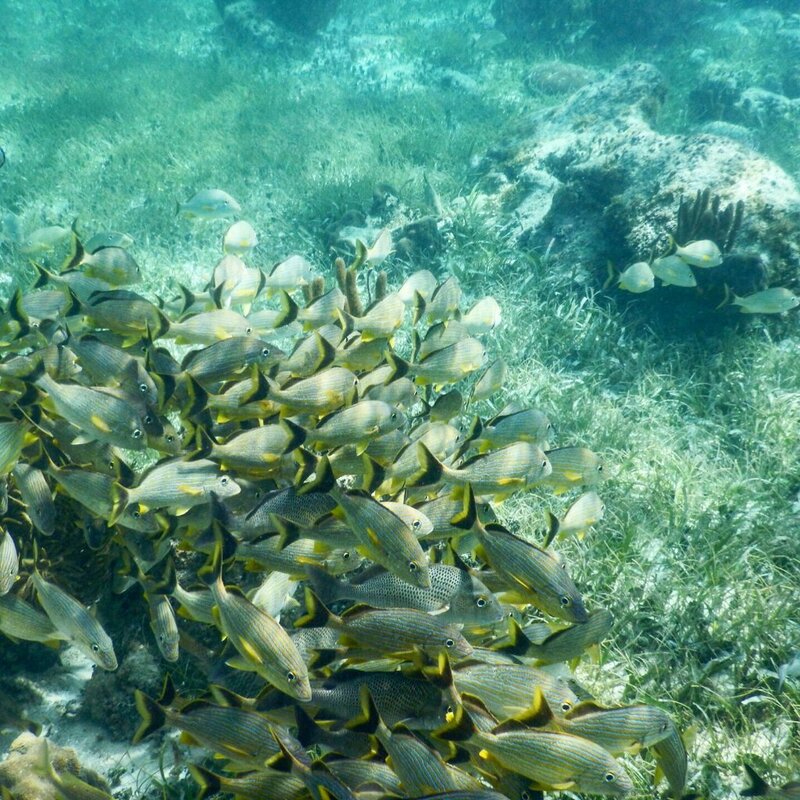 The Snorkeling Adventure full day tour is the most complete and exciting snorkeling tour in the Riviera Maya! 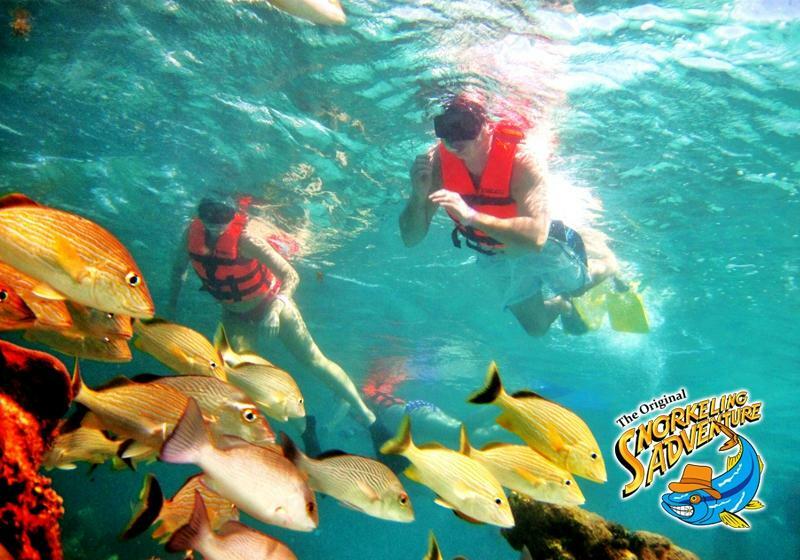 Tour includes three snorkeling settings in the second largest coral reef in the world! 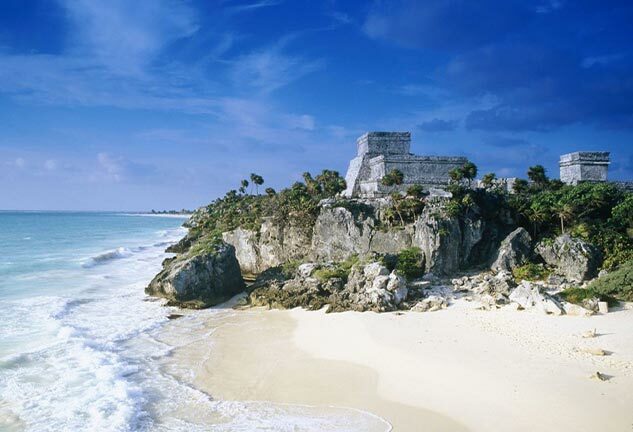 Plus, enjoy a private beach club with gourmet buffet lunch and open bar! 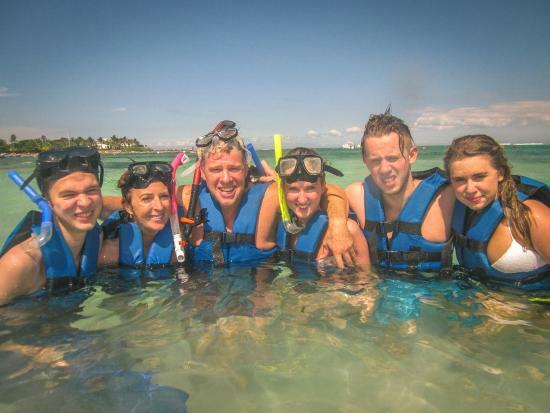 Just a perfect day out in the Caribbean sun. 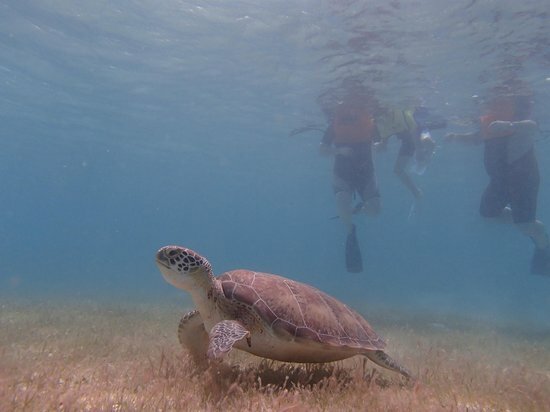 There is no better way to learn about and see our marine fauna and wildlife! 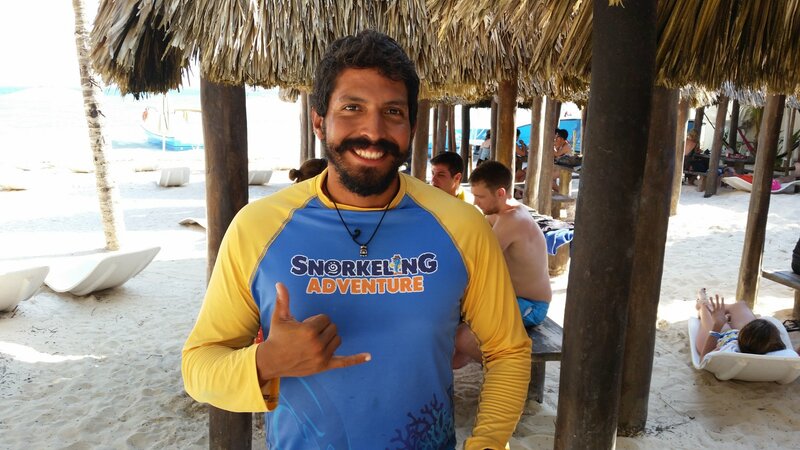 Snorkeling equipment and 3 immersions!